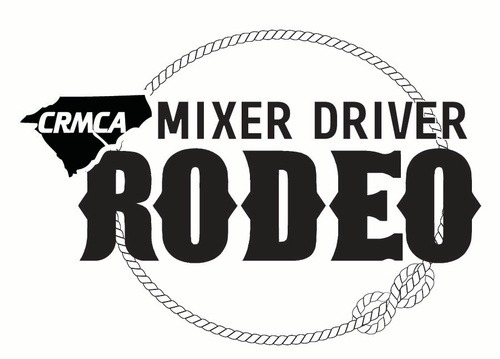 The 12th Annual CRMCA Mixer Driver Championship will be held May 18, 2019 at Peterbilt of Charlotte. The CRMCA Fleet & Maintenance Committee is proud to host this event and looks forward to recognizing the best of the best in our industry! Make plans to attend and help us recognize our drivers who have exceptional ability in delivering the world's most versatile building product! Drivers will participate in a written exam Saturday morning at 8am followed by the skills competition outside on the challenge course from 9am until 12pm. An awards lunch will follow where we will name the 1st, 2nd and 3rd Place Winners for North and South Carolina. Registration is open now until May 10th. The entry fee is $100 per driver and includes a CRMCA Competition Shirt that can be worn the day of with the drivers own company hat. Family members are encouraged to come out and cheer on the drivers during the 9am-12pm Driving Competition and stay for the Awards Lunch at 12:30pm. Don't miss out on a great opportunity to sponsor at this popular event that brings together the best of the best in the industry! Click here for sponsorship packages. As recognition of your sponsorship, your company name will be displayed on a large Sponsorship Banner that will be prominently placed during the event. Premier Sponsors will have their Color LOGO on this same banner. Additionally all sponsors will be recognized during the event, at the CRMCA Summer Convention, Fall Workshop, in the CRMCA Monthly Mix, CRMCA Newsletter and on the CRMCA website. Sponsors may bring a tabletop display to the event if they so desire. Couch Oil Company of Durham, Inc.
Includes CRMCA Competition Shirt, Saturday Breakfast, Written Test & Driving Competition and Saturday Awards Lunch. *Family members of drivers are encouraged to come out and cheer on the drivers and stay for our Awards Lunch! Please let us know how many will be attending with your registration.